This course combines study and meditation to explore the essential role that concentration plays in the Buddha’s teachings. We will examine how the absorptive states of jhana are presented in the early discourses, and discuss the relevance of concentration and jhana training for contemporary practitioners. Shaila Catherine will offer meditation instructions for enhancing mental clarity, increasing our capacity for focused attention, and revealing the profound joy and bliss of an undistracted mind. Students are requested to read Shaila's book Focused and Fearless prior to arriving for the course. To explore the purpose of right concentration as presented in the Pāli Canon; provide a theoretical understanding that will support a fruitful engagement with jhāna practices; distinguish the characteristics of samādhi states including access concentration, jhāna, formless perceptions, and momentary concentration; develop meditative skills to overcome obstacles to concentration; introduce meditation techniques that enhance focused attention; and discuss the relationships between concentration (samādhi), insight (vipassanā), and awakening. 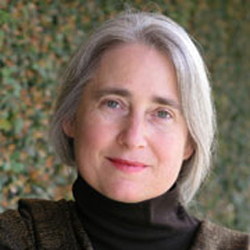 Shaila Catherine is the founder of Bodhi Courses, an online Dhamma classroom, and Insight Meditation South Bay, a Buddhist meditation center in Silicon Valley. She authored two books on concentration and insight—Focused and Fearless: A Meditator’s Guide to States of Deep Joy, Calm, and Clarity, and Wisdom Wide and Deep: A Practical Handbook for Mastering Jhana and Vipassana. She began practicing meditation in 1980 and has dedicated more than eight years to silent retreats. Shaila has been teaching meditation internationally since 1996.